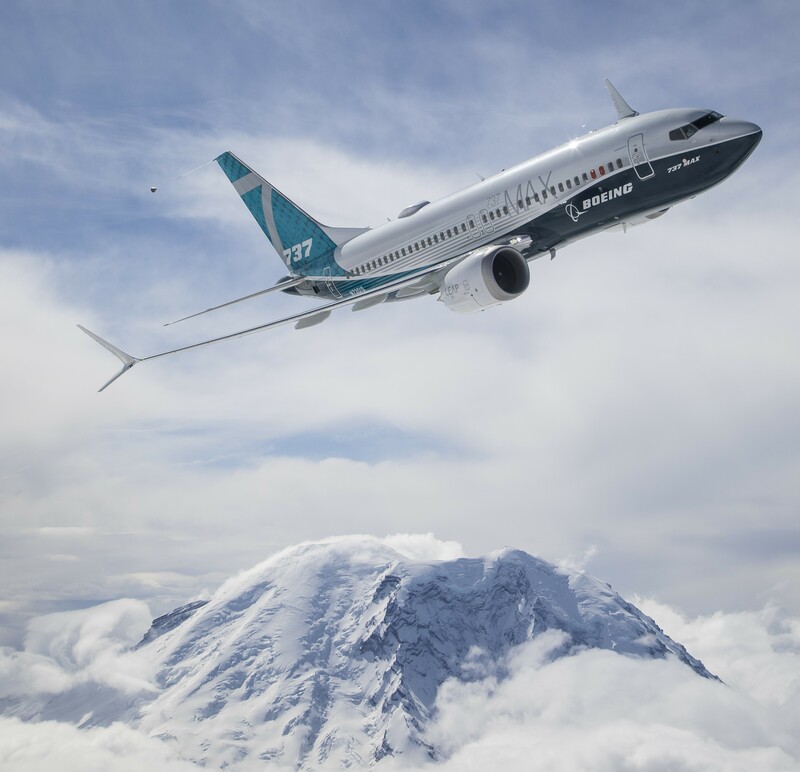 For its first test flight, the newest and smallest sibling in Boeing’s top-selling 737 family of jets, the 737 MAX 7, took a three-hour trip today from Renton, Wash., to Seattle’s Boeing Field, just eight miles away. Getting from Point A to Point B wasn’t the point: Instead, the circuitous journey was designed to give test pilots a chance to put the plane through its paces for the first time in the air. The flight path ranged from the tip of Washington state’s Olympic Peninsula to Moses Lake in central Washington, with several photogenic circles around Mount Rainier added for good measure. Test pilots Jim Webb and Keith Otsuka were greeted with applause as they emerged from the cockpit at Boeing Field, at the end of a trouble-free flight. This entry was posted in GeekWire and tagged 737 MAX, Aviation, Boeing, Technology. Bookmark the permalink.